I need to color all the cells in Green which contain any IP addresses that is in the list of those 100 IP addresses. 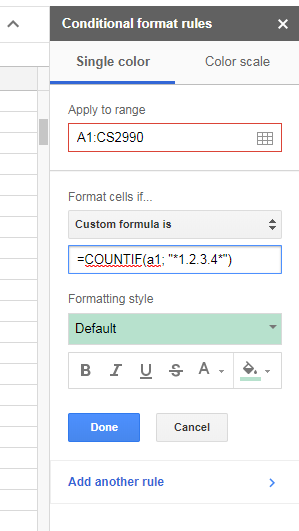 How do I refresh script results when a cell color is changed? How to merge multiple spreadsheet content having the list of keys to them?